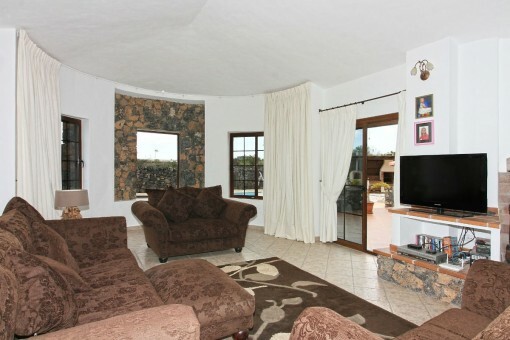 This very spacious and immaculately-maintained detached villa has 4 good-sized bedrooms with fitted wardrobes, 3 bathrooms, two of them are located en suite. 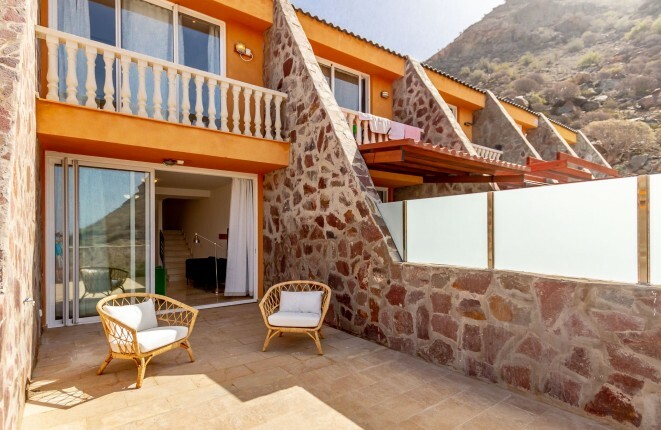 After entering the approximately 300m ² large building, there is a bright and spacious lounge and dining area, a fully-equipped kitchen with granite worktops, a pantry and an utility room. 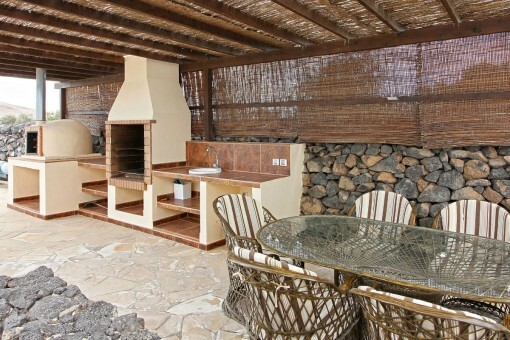 The outdoor area provides a fully-tiled and massive south-facing terrace with wooden pergola offering lovely mountain views and overlooking a heated private swimming pool with jacuzzi, equally-spacious sun lounging space, an outside kitchen (with BBQ, wood-burning pizza oven, wash facilities, electric sockets), well-kept garden with mature trees and plants, storage room, and a size-a-half garage. 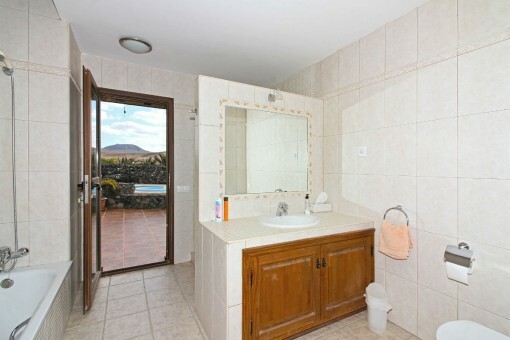 The master bedroom also has a walk-in closet and a direct access to the pool area. 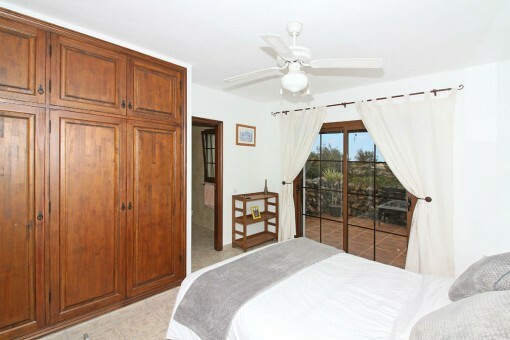 One of the bedrooms provides the use of a private terrace overlooking the garden. 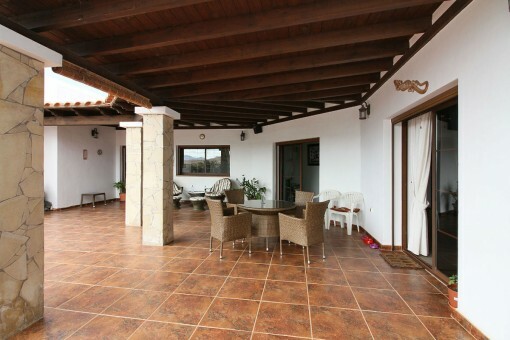 All 4 bedrooms are fitted with ceiling fans for comfort during the warmer Canarian summer months. 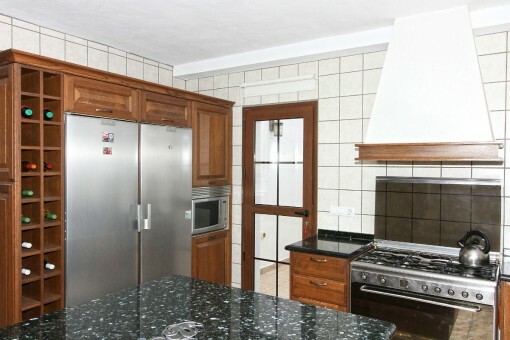 Fitted with electronic gates and 2m wall surrounding the property, this charming individual detached villa on a plot of approx. 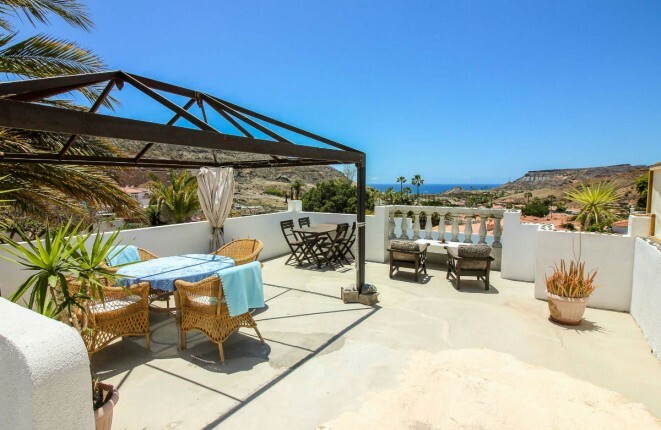 5000 m² also boasts a private roof terrace that enjoys panoramic mountain views. 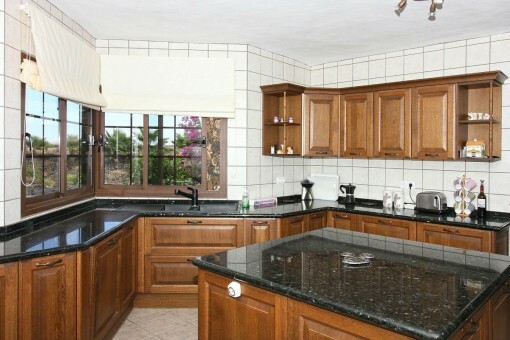 Built purposely as a permanent home, it is finished to a superior standard. 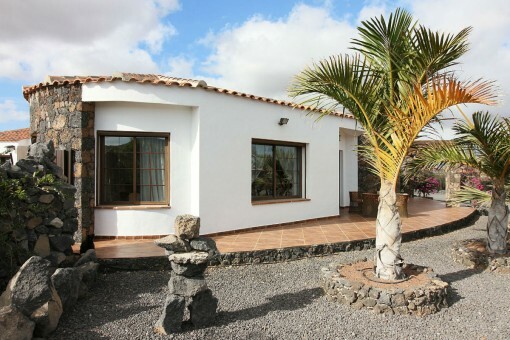 Other outstanding features include double-glazing and mosquito nets on windows and doors, automatic water gardening system, solar-powered pool, double-skinned cavity insulation, multiple outside seating areas for all types of weather and at different times of the day. 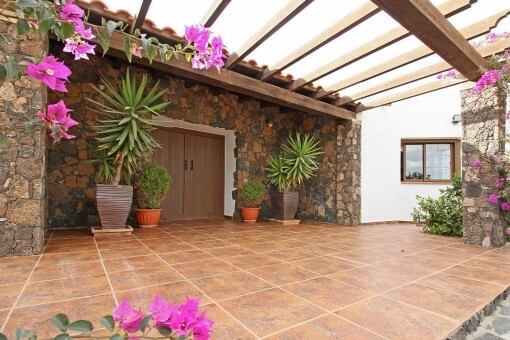 It is located in a tranquil part of Lajares, in just 10 min you can drive to Corralejo and after a 5 minutes walk you achieve the fishing village of El Cotillo. 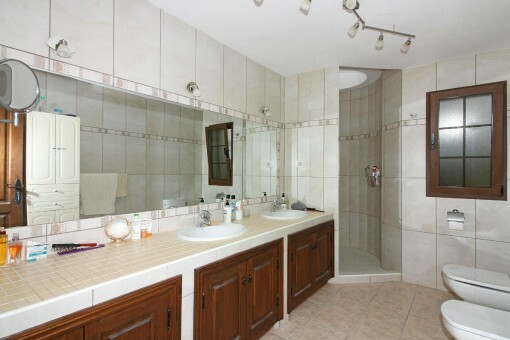 Within walking distance you can reach different local restaurants and shopping possibilities. 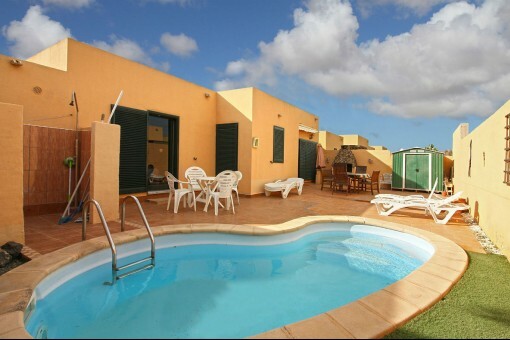 The nearest beach on the westcoast of Fuerteventura is just 10 min car drive away. 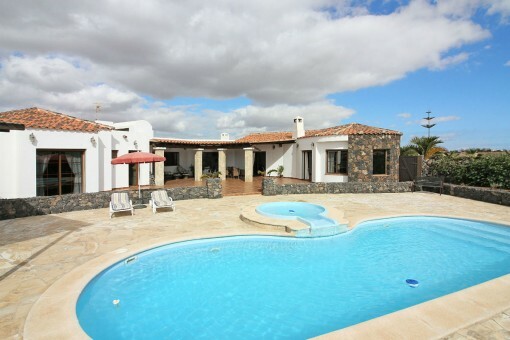 I'm interested in: Considerable house with pool in Lajares, Fuerteventura (Objekt-Nr.70285).